动态范围(Dynamic Range)- 图像质量及色彩科技知识分享平台 图像质量与色彩管理 - Powered by HDWiki! 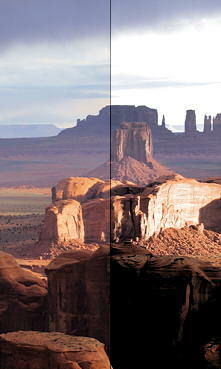 Dynamic range is a strong function of pixel area, which is proportional to the number of electrons a pixel can store. It is invariably better in DSLRs (which have relatively large pixels; at least 4 microns square) than in compact digital cameras. It can be maximized by setting the camera at the lowest ISO speed. Displaying images with large dynamic ranges (which can be well over 1000:1; 10 f-stops) can be problematic in reflective media, which has a maximum dynamic range of about 100:1 (a little over 6 f-stops; 200:1 at the absolute maximum). Reducing contrast can make the image look flat and dull. Some processing is usually required, like applying an “S” curve, tone mapping, or manually lightening or darkening portions of the image. 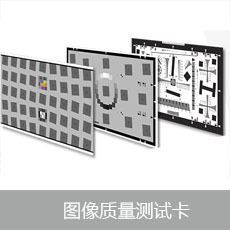 Flare light in lenses— light originating inside or outside the lens’s field of view that bounces around the lens interior— decreases dynamic range by fogging the image and obscuring shadow detail. Veiling glare is a good measurement of a lens’s susceptibility to flare light. Processed in 0.106811 second(s), 18 queries.